Set in the vein of classic Ghouls N' Ghosts and Wonder Boy 3: The Dragon's Trap, the instantly classic and familiar gameplay will transport old-school gamers back to their heyday, and the self-adjusting difficulty will allow for even the most novice of gamer to pick up and play! - A mix of fast paced classic arcade action with the adventure elements of classic console games from the golden age of console gaming. - Amazingly detailed hand drawn pixel art brought to life by the magical lighting of the Unity Engine. 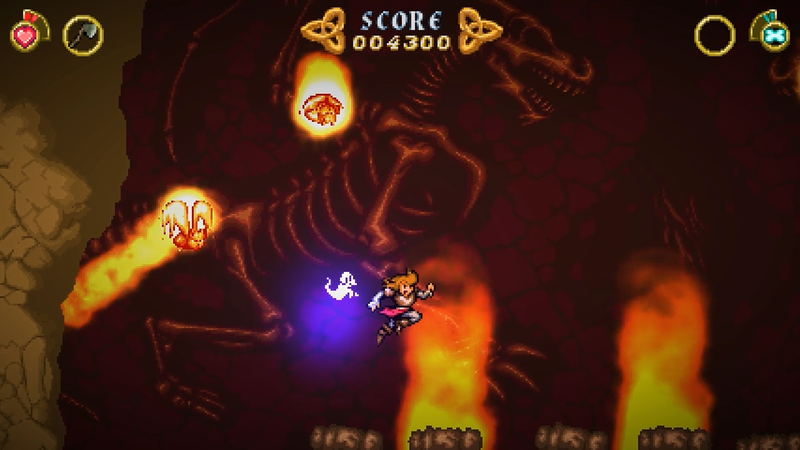 - Battle Princess Madelyn can be played through quickly as an arcade game, or for the full experience stop at towns to help the locals! How you play to complete the story depends on your personal choice! - Find all of the collectibles hidden throughout the stages for extra rewards, and additional hidden stages! - 10 levels, each of which include up to 5 stages - including 1 or 2 branching hidden stages! - Fully re-playable stages at any point - if you've unlocked it, you can play it as much as you want! - Combo meters for destroying and juggling enemies! - 10 types of weapons which change with the 3 sets of armor found in game! - Up to 10 unique enemies per level! - Your ghostly dog companion, Fritzy, gains powers as you progress through the game allowing you to unlock puzzles and otherwise inaccessible areas of stages! - Special weapons for special occasions! If an area calls for a unique ability, search the area for the needed item! - An original story written by a professional children's author. - A story that spans the globe and time! A story told by her grandfather while she is sick, Madelyn will experience life as her magical portal traveling counter part and will save her family no matter where they are in the world. - Two completely different soundtracks to suit your tastes! Classic Arcade FM/PCM to set the hectic pacing, or Modern Orchestrated to set the mood for the scene by Gryzor87 of Maldita Castila fame! - Masterfully crafted pixel art by veteran pixel artist Christopher Obritsch. - Dynamic lighting to add depth to the detailed pixel art! CLASSIC GAMEPLAY WITH A TWIST! 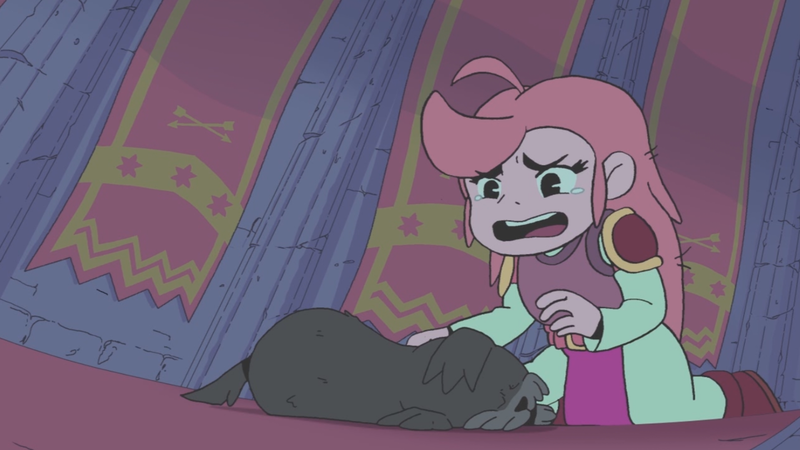 - Madelyn's pet ghost dog "Fritzy" acts as both a weapon and a way to solve puzzles, allowing the player to strategize boss fights and manoeuver puzzles. 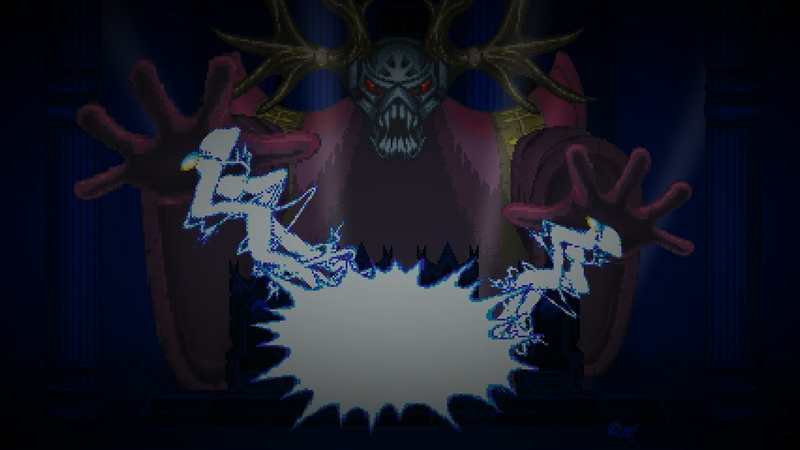 WHY IS THIS HAPPENING AND WHY DOES IT LOOK SO MUCH LIKE GHOULS N GHOSTS?!? 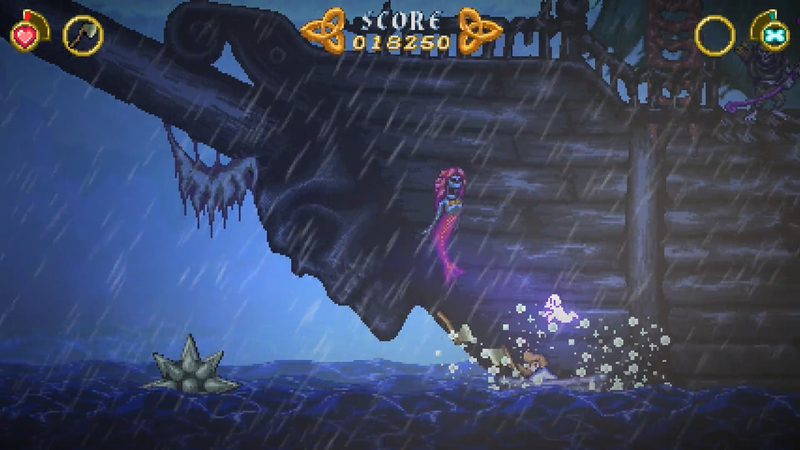 Causal Bit Games and Hound Picked Games are delighted to announce the release date for the much anticipated, long awaited, Battle Princess Madelyn, that has already achieved phenomenal coverage throughout its development cycle delivering star studded previews and articles. 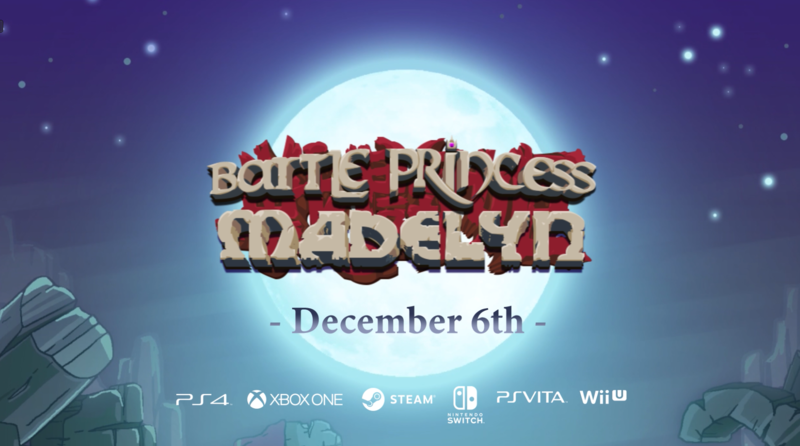 Battle Princess Madelyn is to be released on Playstation 4, Xbox One, Nintendo Switch and PC (Steam) on December 6th 2018, with the Wii U and Vita versions to follow later in the new year. We've uploaded the Battle Princess Madelyn Pre-Alpha Build here on IndieDB and have officially launched our Kickstarter crowdfunding campaign! Enjoy this 5-stage (1 whole level) pre-alpha build! Read full description for system requirements, controls, and tips/hints!